Udupi: July 31, 2015: The Belapu Gram Panchayat (GP) on Thursday demanded that the Advanced Science Research Centre, coming up at Belapu village in Udupi district, should be named after the former President A.P.J. Abdul Kalam. In a press release issued here on Thursday, Deviprasad Shetty, president of the gram panchayat, said that the Advanced Science Research Centre was being set up at an estimated Rs. 141.38 crore under the Rashtriya Uchchattar Shiksha Abhiyan (RUSA). A.PJ. 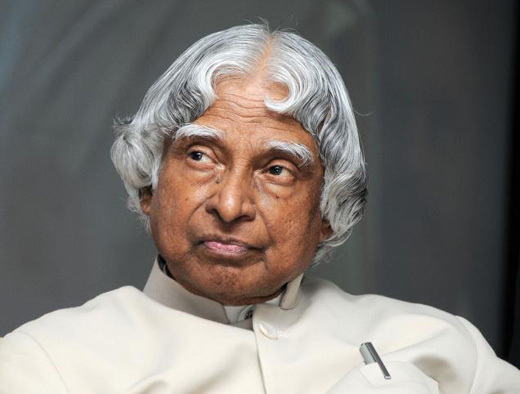 Abdul Kalam was not just a former President of the country but was also one of the foremost scientists of India. Hence, the Advanced Science Research Centre should be named after him as a mark of respect for his contributions to the country, the release said. The gram panchayat had already taken a unanimous decision to this effect. A copy of this resolution had been faxed to Prime Minister Narendra Modi, Chief Minister Siddaramaiah, Udupi District in-charge Minister Vinay Kumar Sorake and the Vice-Chancellor of Mangalore University K. Byrappa, the release added. It may be recalled that Chief Minister Siddaramaiah had laid the foundation stone for the Advanced Science Research Centre that is being established by the Mangalore University on 20 acres of land at Belapu in Udupi district on May 4.